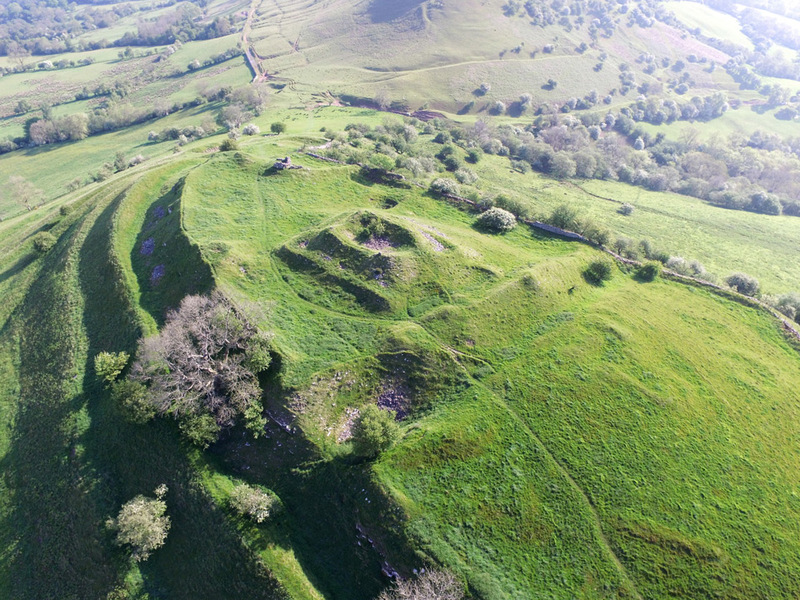 There are the remains of a ruined castle set within an Iron Age hillfort, the highest castle in England and Wales and overlooking the pass between Mynydd Troed and the Black Mountains. 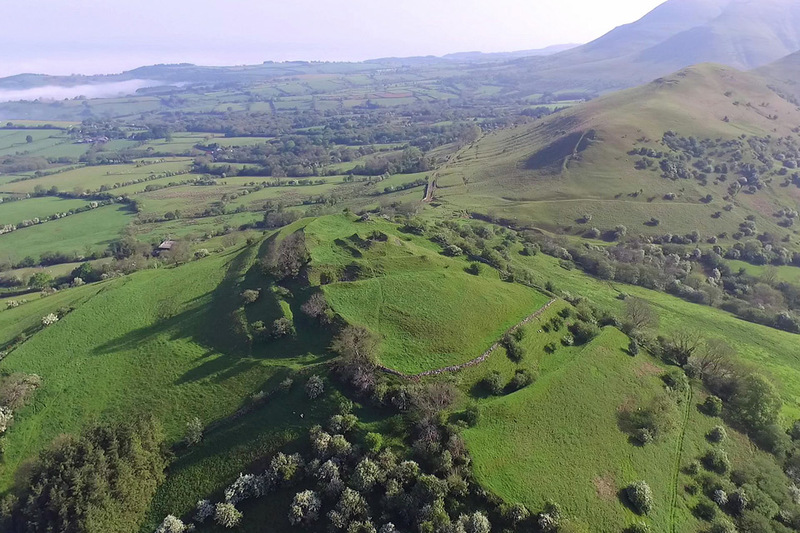 There may have been an early wooden castle built in the 1070's as the Normans advanced into Wales after the invasion but the ruins that can be seen today are from a late 12th or early 13th stone fortification which comprised a large keep 100 feet by 40 feet, a gatehouse and at least five towers set into the curtain wall. 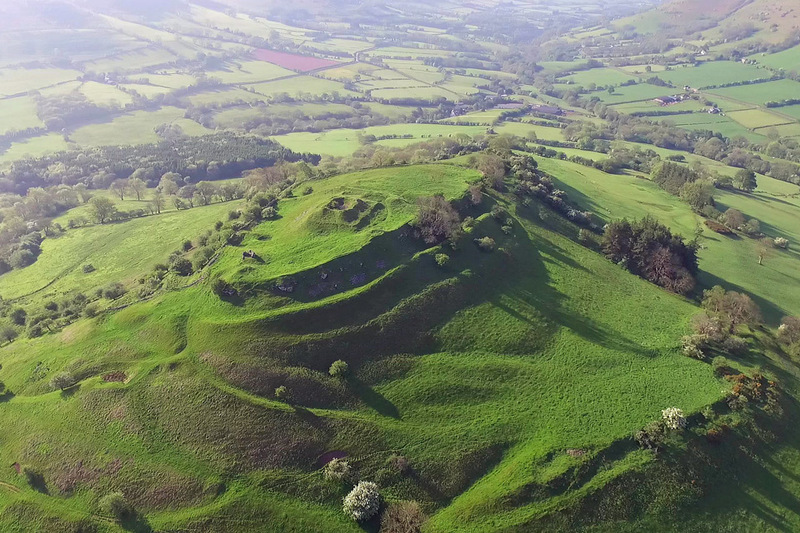 It was captured and damaged by Llewelyn the Great in 1233 but it continued to be used for about another 100 years. By the mid 16th century it was described as ruinous.